The Nigerian High Commissioner to Ghana, Amb. Michael Abikoye has protested the inhuman treatment of Nigerians by the Ghana Immigration Service (GIS) with the deportation of 723 Nigerians between 2018 and 2019. Abikoye said this at a meeting between him and the Comptroller-General of GIS, Kwame Takyi, in Ghana. Report of the meeting was obtained by the News Agency of Nigeria (NAN) on Tuesday in Abuja. 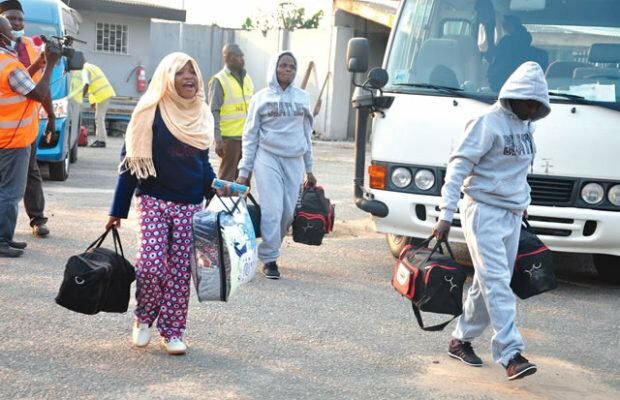 The High Commissioner said that 723 Nigerians were deported on alleged illegal stay, cybercrime and prostitution between the January 2018 and January 2019. He said, though the High Commission would not condone any form of criminality on the part of Nigerians, saying that inhuman treatment and alleged torture of some Nigerians in Ghana would no longer be tolerated.